The Bristlenose pleco is one of the most popular breeds of pleco fish in the world and has long been a favorite of novice and veteran aquarists alike. Much of its popularity stems from its small size and ability to keep algae under control in tanks in which it is housed. But is it the right tank cleaner for your home aquarium? That’s what we’re hoping to determine today. 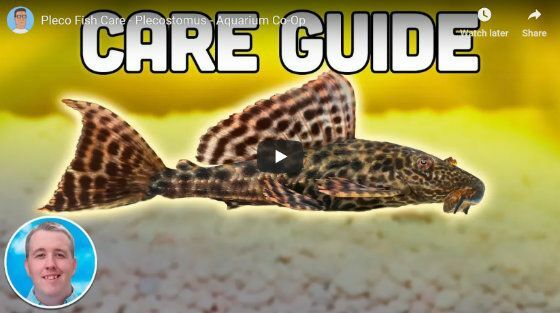 In this article, we’re going to be discussing everything the Bristlenose catfish has to offer and what you should expect from it in terms of behavior, eating habits, and tank requirements. As far as color is concerned, the Bristlenose Pleco is not the most visually impressive breed to have in your aquarium. Boasting no particularly breathtaking patterns, the Bristlenose catfish generally comes in various shades of black, brown, and grey, which, as a bottom feeder, allows it to blend in with the gravel of the tank bed. The albino Bristlenose Pleco, however, features a light pattern of pink and yellow, which makes it immediately distinguishable from its darker counterparts. The Ancistrus protects its delicate flat body through bony plates positioned throughout it and will also develop defensive, spike-like growths on its head as it matures. Meanwhile, a round mouth and a pair of expandable lips allow the fish to feast on algae with ease. When fully grown, you can expect this pleco fish to reach, and possibly even exceed, 5 inches in length. If you maintain a community tank, the Bristlenose Pleco will make a great addition to it. A calm and peaceful breed, the Bristlenose tends to keep itself to itself, dwelling at the bottom of the tank or clinging to the glass, so you won’t have to worry about it harming the other breeds housed with it. That being said, males can be a little competitive and tend to get aggressive towards each other, so you should avoid keeping two together. Veteran aquarists often gravitate towards this breed because of their tank cleaning capabilities, but it is also a great choice for newcomers to the hobby. Plecos are resilient little things and don’t require particularly strict conditions. They can adapt to and thrive in a variety of climates and can easily survive the most common mistakes made by novice aquarists. We know we just said that Bristlenose catfish do not require particularly strict conditions, and that remains true, but there are some things you should be mindful of before adding one to your tank. The Bristlenose is a freshwater fish and will not survive in a saltwater aquarium. Furthermore, it should be housed in water ranging from 60° to 80° Fahrenheit, with a hardness between 20 to 25. Although adults are more resilient to pH issues than juveniles, you should seek to reach a pH level within 6.5 and 7.5 regardless of your pet’s age. They create a lot of waste, so you should be sure to fit your aquarium with a filter if you haven’t done so already. Longtime keepers of pleco generally suggest going with a canister filter. Despite the small size of the Bristlenose, it is suggested that it be kept in a tank with a capacity of at least 25 gallons. If you are housing it with a number of other fish, you should seek out a tank that is larger again, ideally with a lot of room towards the bottom as that is where your Bristlenose will be spending the majority of its existence. The Bristlenose is a nocturnal fish and likes to stow itself away during the day, so you should make sure to fit your tank with plants and rocks to give your pleco plenty of places to hide. Bristlenose plecos are predominantly herbivores, so you should keep yours on a primarily vegetarian diet. Your Bristlenose will get much of what it needs from the algae that grow in your tank and you may even want to add some driftwood to your tank to facilitate the development of algae. To reword the old saying, however, a Bristlenose cannot live on algae alone. In order to ensure your bushynose catfish get the multitude of nutrients it needs to develop, you should also feed it sinking pellets. Sinking pellets are designed specifically for bottom feeding fish and should not be bypassed in favor of more traditional flakes as Bristlenoses rarely have the speed or agility to reach flakes before their more active tankmates. You may also want to try adding blanched vegetables to your Bristlenose’s diet. There are no suggested vegetables for the Bristlenose, so feel free to experiment with a variety of them to determine which ones yours enjoys the most. It is important to remember that while the Bristlenose catfish does primarily feast on algae and vegetables, it does require some source of animal protein. Experts recommend keeping your Bristlenose on a diet that features 85% plants and 15% meat. If you’re trying to breed your plecos, you should increase the meaty foods in their diet. Bristlenoses have a larger appetite than many breeds of fish their size. While they will seek out algae to satisfy their hunger, you should also aim to feed your Bristlenose fish at least once a day (twice if you can afford it). If you go down the blanched vegetable route as suggested above, you should also set aside a couple of minutes each day to clean out any leftovers. Failure to do so will likely cause the water conditions in your tank to degenerate, which will negatively impact all fish housed inside it. We touched on breeding of Bristlenose catfish in the previous section, but given that they are quite popular among breeders and would make a perfect first for those who are new to breeding, we would like to discuss the process in detail here. The first thing you need to keep in mind when preparing to breed Bristlenoses is that their eggs will rarely hatch in a community tank. In the event that the eggs do somehow hatch in a community tank, it is remarkably unlikely that the fry will live beyond a couple of days. For that reason, you should be sure to move any Bristlenose eggs laid in a community tank to a tank of their own. Similarly, Bristlenose plecos tend to prefer breeding in winter, so you may have to recreate winter water conditions if you want to make it past the first stage of the process. Males play a pretty large role in pleco breeding and should be provided with a meaty diet in the days leading up to mating. Along with this protein-rich diet, your male is also going to need a cave in which to spawn, so you should add two or three to the tank and allow him to choose his favorite. Once your male has settled in his cave, he will wait for a female to come calling (you may want to add a couple of females to the tank to increase the chances of mating). If the female is equally passionate about the male’s chosen cave, she will lay her eggs in it before he fertilizes them. Care of the eggs falls solely to the male, who will clean and aerate them for the next ten days or so. Once they have hatched, the fry will cling to the side of the cave for the duration of time it takes for their egg sacks to fully absorb (likely a couple of days). Once this period has passed, the male will distance himself from the fry and they will enter the tank, living life as the average Bristlenose does. Bristlenose fry actually matures a lot faster than other fry and can reach their full size in less than a year, with some even outgrowing their parents in the space of six months. As we mentioned at the beginning of this article, the Bristlenose Pleco is far from the most visually impressive freshwater aquarium fish, nor is it the most active. But despite its shortcomings in these areas, the Bristlenose has a great deal to offer the aquarist. Feeding on algae, it ensures a clean tank for itself and all fish with which it shares its home. Its peaceful nature means it is unlikely to cause any trouble in your tank and will not disturb the community you have developed – or hope to develop – over your time as an aquarist. 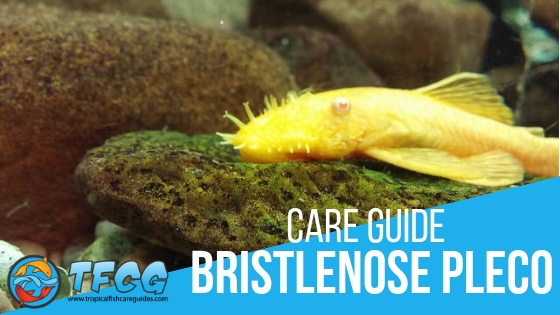 Furthermore, the Bristlenose catfish is one of the easiest fish to care for and is almost admirable in its ability to withstand conditions and events that would harm many other breeds. It is this resilience that makes the Bristlenose Plecostomus the ideal starter fish and the perfect alternative to the common to the point of boring goldfish.